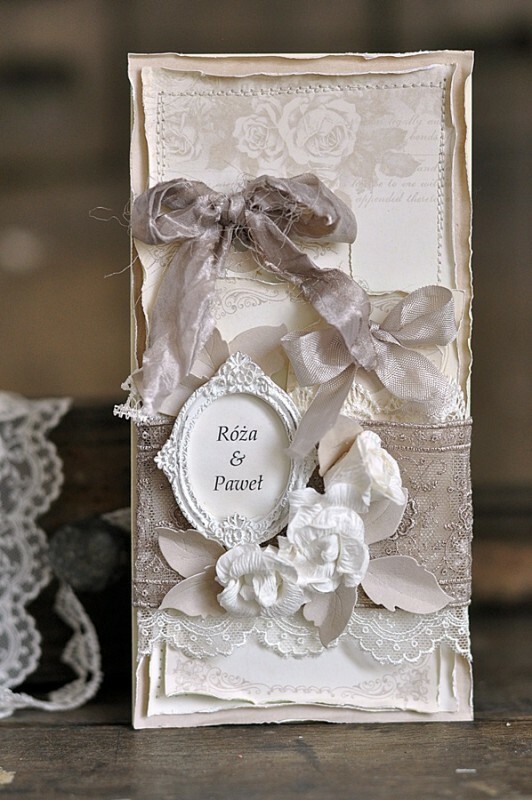 Hello, here is a wedding card in soft beige and white from the Vintage Wedding collection. Beautiful and so elegant wedding card! Love the color, the distressing and sewing which all contribute to this beautiful card! !